Click here to view all of the photos from President Kling’s experience as a student on Facebook. 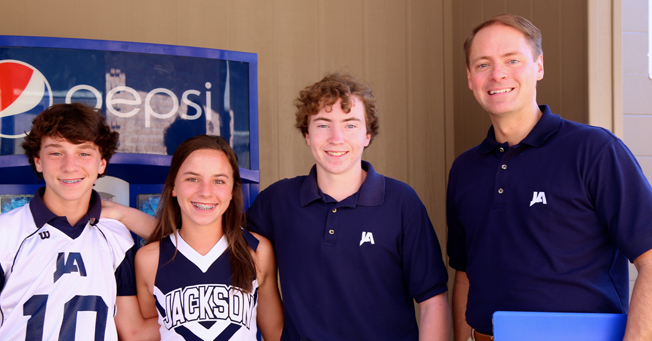 This past Thursday, I experienced one of the best days I have ever had at Jackson Academy in the 14-plus years I have served the school. I had the wonderful privilege of being a student for the day. I shadowed junior Ben McDowell beginning at 7:55 a.m. in first period A.P. 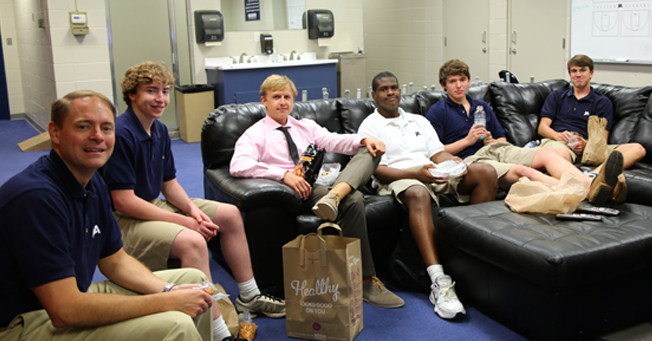 U.S. History and concluding with basketball practice that ended at 4:15 p.m. I fully participated in all of Ben’s activities including a pre-calculus test and Coach Ball’s legendary basketball conditioning. I am grateful to Ben for being such an incredible host and a great sport. So, why did I shadow a student for the day? As I begin as president, I wanted to understand better and connect more deeply with the student experience at our school. 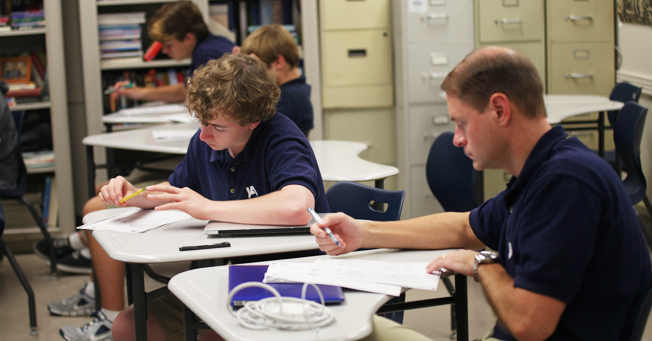 One of the great defining characteristics of Jackson Academy is that we are intently student centered and student focused. 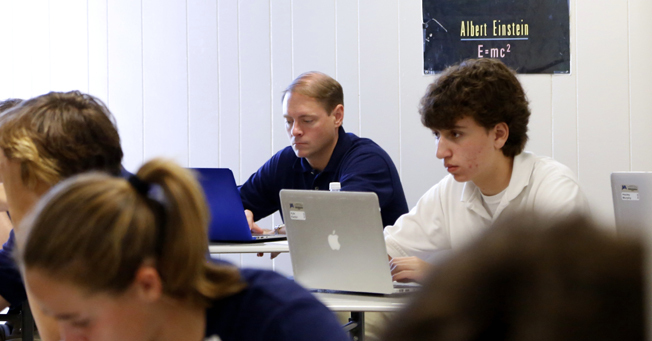 Every decision that teachers and administrators make is based on what is best for our students. It seemed only logical, then, that I should seek to understand our school better through the eyes of our students—experiencing the pace of their day and seeing the demands placed upon them. I also wanted to use the experience to get to know many of our students better and make new connections with them. Finally, I hoped that by spending a day as one of our students, it would send a very clear message to them of their value and importance to me. It seems rather obvious to say, but we have one and only one reason to exist as an institution: to serve our students. As I begin as president, I wanted to understand better and connect more deeply with the student experience at our school. 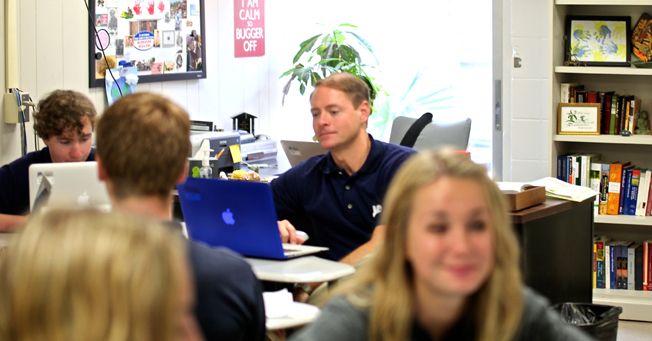 Another clear observation I had during the day is how incredible our teachers are. We are blessed as a school with talented, caring teachers who love our students. 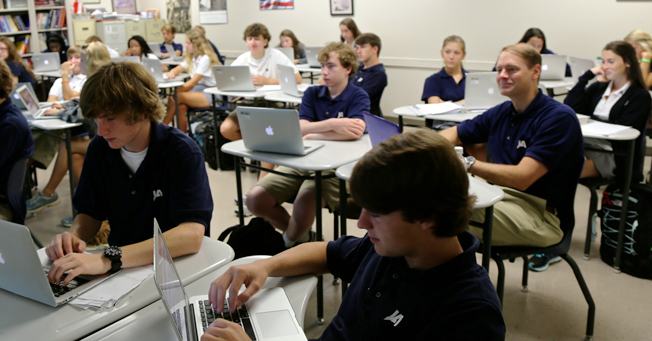 Our students, parents, and alumni also echoed this sentiment in the recent SAIS survey they completed, indicating that care and concern for students was one of JA’s highest areas of performance. I was able to see this first-hand last year as well when I observed every teacher in the school from K3 to senior English. I also witnessed just how great our students are. The students were so polite and kind to me and seemed to be genuinely glad that I was spending a day with them. I saw how they treated each other with kindness, respect, and concern. At basketball practice, I was particularly moved when Ben, who had been the fastest in his sprint group, slowed down and ran side by side with a teammate who was struggling, encouraging him to make his sprint times. Though my day with Ben began at 7:55 a.m., his day began at home with his dad, Mark, his mom, Beth, and his eighth grade twin siblings, Rob and Kate. Their first activity of the day was a family devotion that included a wakeup call to Ben’s older brother Will, a 2014 JA graduate, who is a student at Mississippi State. Beth read the daily devotion to the whole family, including Will who listened on speakerphone. Ben then helped around the house and brought Rob and Kate with him to school. 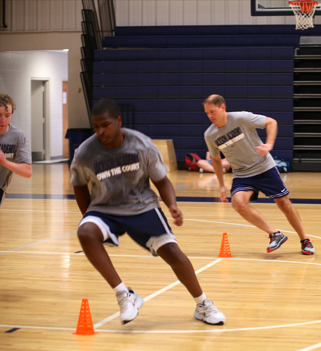 As the day concluded with a very tough hour and a half of basketball conditioning drills, Ben’s day was hardly through. He still had a Young Life meeting that evening followed by homework to do. And when I awoke the next morning at 6:10 a.m. to very sore muscles as a result of conditioning drills, I realized that while I was just getting out of bed, Ben and his fellow basketball teammates had already been at practice for 10 minutes. Ben’s schedule is representative of so many of our students. I marvel at all the things they balance—rigorous academic course work, family lives, church involvement, and a variety of extracurricular activities including sports, theater, dance, and many others. Experiencing even a small slice of this schedule certainly gives me increased respect for our students and the demands placed on them. 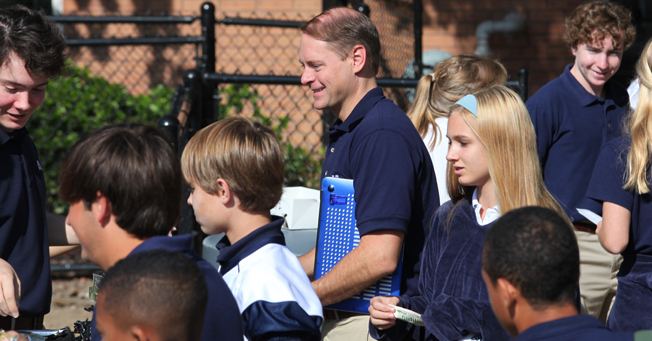 I know that the experience I had as a student for the day will continue to inform and guide how I serve and lead our students at Jackson Academy. I am also looking forward to small group meetings with all of our sophomore students that will take place over the next several weeks. Like my day shadowing Ben, these meetings will help me get to know our students better and understand how I can better serve them. One thing for sure that the day accomplished is it has made me prouder than ever of our students and our school!